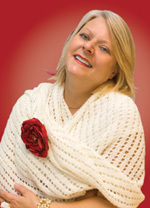 You have many clients, you want to treat them with a nice gesture for spending money at your business during the year. You can’t give anything personal, you can’t give expensive gifts to all of them, but it’s Christmas after all, something sweet and stylish is ideal and it’s the thought that counts any way. “Say I love you the Italian way” with twenty-one bonbons of dark chocolate and hazelnuts to ensure a luscious pleasure. This is a chocolate with many meanings and many emotions. Silver foil wraps each bonbons with a different message of love written in four languages and printed on light transparent vellum paper. Those messages are highly collectible. Hard to believe this Italian sweet little thing called Bacio (Kiss) was first named Cazzotto (Hand Punch). Knowing that a woman invented the harsh name it puzzles me even more. Luisa Spagnoli the owner of a chocolate factory in Perugia, Italy in the early 1920s and later fashion designer, while trying to contain the production cost, invented the little morsel by simply collecting the crumbs of all the nuts from the workers’ table, molded them together, stuck one whole hazelnut on top and covered it with liquid chocolate ganache. To her eyes what came out seemed like a fist with a knuckle, thus she called it the Punch. 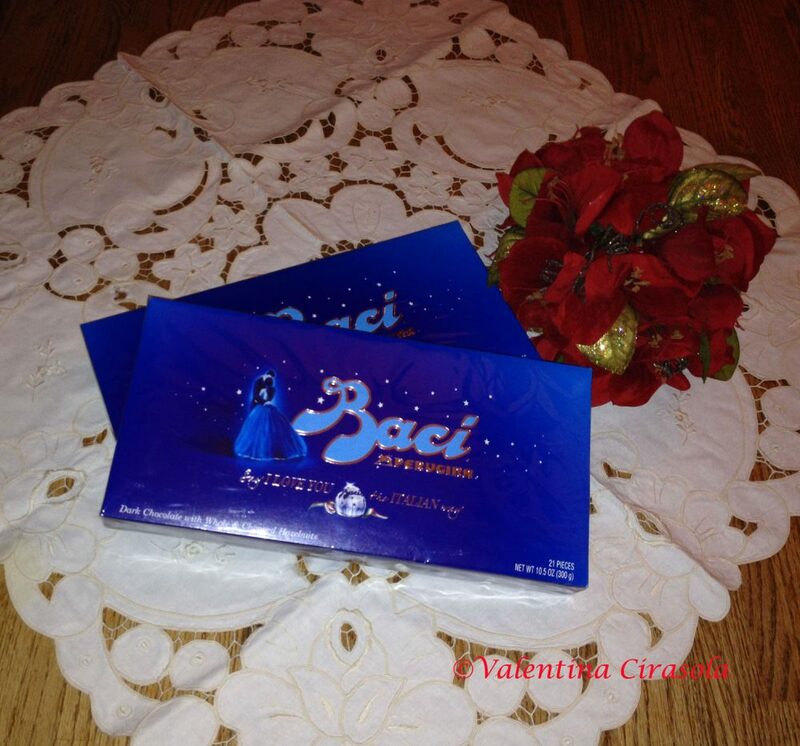 Buying Baci (plural for bacio) at an Italian café is almost a mischievous thing, as Baci since the ‘40s have become a symbol of love, desire and romantic dreams. The cafe’ attendant will always have that curious look on and wondering who the Baci will be for. The blue box with lovers kissing under the stars is recognizable among the sea of chocolate on the store’s shelves. The idea for box cover’s design came from a painting called “The Kiss” by Francesco Hayez and Federico Seneca marketed it as a the box of dreams that never end. It was only later around the late ‘40s that the name changed to Bacio (Kiss) to became the symbol of love and Valentine’s day. The advertisement of the era said that “wherever there is love, there is a Bacio Perugina”.